A special shout out goes to @sheilagomes and @simo70. Between them they have run 5 of the 7 workshops (that have been run at official WordPress things) this year, and they both have more planned to do as well! Our goal was 27 meetups and some of these are at non official meetup spaces. 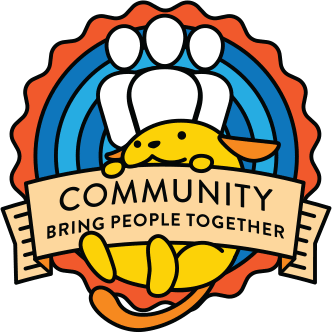 There are WordCamps, events related to WordCamps, etc. If a corporate place is WordPress, then I’ve been counting it. A good handful of folks have retweeted the WordCamp US tweet, including WordCamp Central – thanks! @miriamgoldman and @caroleo both talked to participants about it at WordCamp Miami while they were networking. @jillbinder was a speaker at a local, fun, Vancouver event where she promoted this workshop to general public, that had some WordPress, other tech, and non-tech folks in it. In addition to getting the word out to WordPress folks, it was also to further her next goal of spreading this work beyond WordPress. @sheilagomes has been spreading the word among the translators’ and developers’ groups that she is part of including a python devs group. @larryswanson has been re-tweeting and sharing posts. He is the speaker wrangler for WCSEA18 and said they will be doing the training in Seattle. He is also planning to reach out to local PHP, JS, and other communities. We got featured in the first WordPress Meetups newsletter last month from @andreamiddleton and their team, and we’ll be featured again in the one going out shortly. We are going to send out in each newsletter which places ran it since the last newsletter, to show people our momentum and to give people incentive to want to see their city/place on this list. The description that we created on http://tiny.cc/wpwomenspeak can be used as a boiler plate for the promo materials. That is the link that we’re promoting in all our WordPress promotions. We as a group suggested creating a women’s only meetups to encourage more women to attend the meetups similar to the women’s meetup in Seattle. Have you ever had trouble getting women and other underrepresented groups to speak at your meetups and WordCamps? There’s a workshop for this that really works, and we want to bring it to as many WordPress communities as possible. @AfshanaDiya said she will take on a project to interview people about how to reach more women. She said she can write a post about this for Make WordPress Community. If you are interested in volunteering to be interviewed for this, please leave a comment. We’re still working on running the first official, to be recorded for widespread use train the trainers session. We need it soon as there are workshops running soon, and @jillbinder and I are hard at work at setting this up. We talked briefly about similar initiatives in other tech communities. One of the biggest ones is https://www.globaldiversitycfpday.com/. @jillbinder is in touch with the creator of that and they are sharing material and promotion ideas.